You will probably find a lot of common ground reading their answers in the days to come. 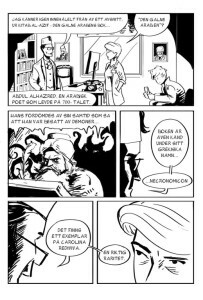 Our ninth contributor to be interviewed is cartoonist/illustrator Rickard Fornstedt. 1. It came pretty late in life. 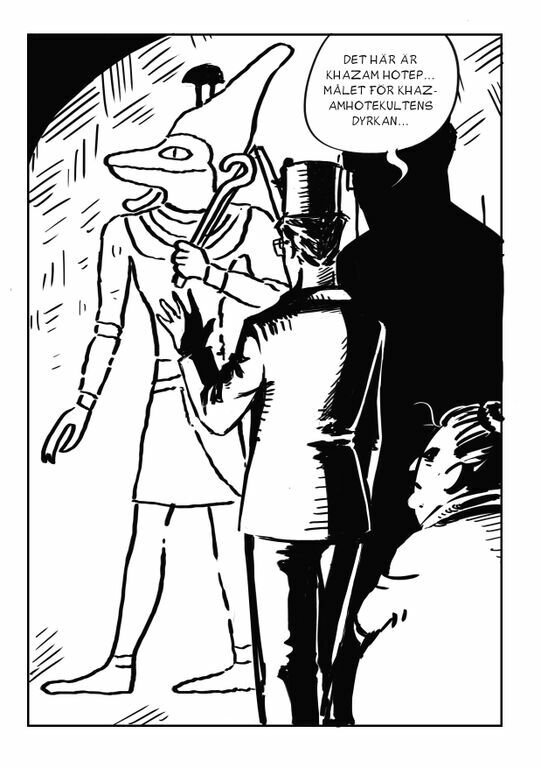 A teacher I had in college a couple of years ago used to mix some Lovecraft references into our tasks, but I didn’t actually read anything by H.P. 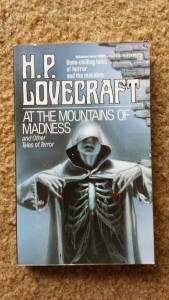 Lovecraft until last year. Me and the gang used to play Cthulhu By Gaslight, and one of my friends in the group lent me a copy of At the Mountains of Madness and Other Tales of Terror (with a wonderful cover illustration by Michael Whelan). 2. 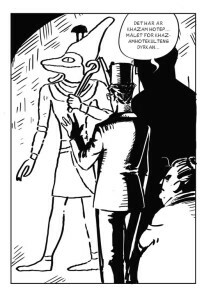 ”The Statement of Randolph Carter”. That last line gives me chills. 3. 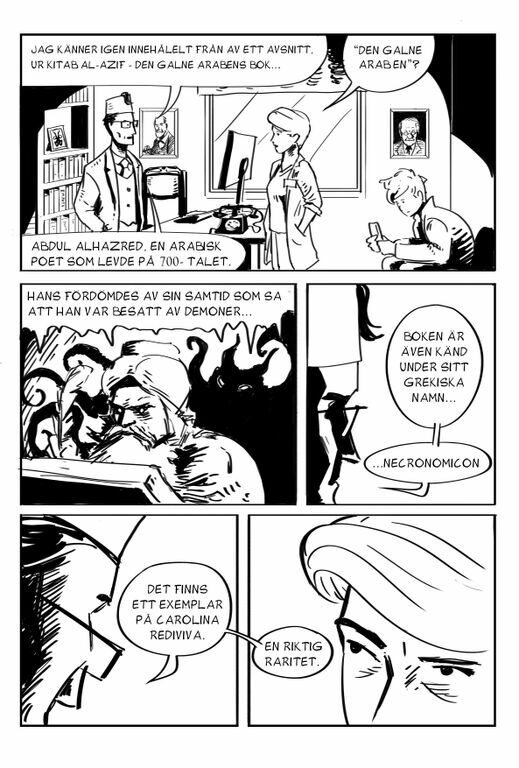 Me and Mohammed Omar will showcase our comic Professor Frans och Necronomicon i Upsala.